It was a year ago when thirty small groups gathered to talk about a long-term need for a creative common space. It was in part about an affordable physical space to hold meetings and host events, and it seemed even more so about an expression of commitment to a full and inclusive democratic life. Since then, we have arrived at a common vision: A home, a landmark, ACCESSIBLE to everyone, for civic and grassroots groups to showcases what is being done in the community, for small groups to support each other and build their credibility and capacity to advocate and provide services to the public. How can we leverage the wealth of ideas and resources in Waterloo Region to create a civic social innovation hub? We will explore our vision and the ways to talk to people in our community about the initiative; we will learn about connections with the existing hubs and networks; we will investigate sustainability of such an endeavour; and we will take a look at the benefits of working across culture, identity, and ideas. January 21st, 6pm to 8pm at the Social Development Centre WR, corner of Water St. North and Duke St. in Kitchener. RSVP by January 16th at admin@waterlooregion.org or 519-579-3800. Your voice counts too. Work with us to explain systems that keep poverty in place. We are witnesses of the changing mindset towards poverty. The recognition of reasons why we cannot make a decent living now go beyond individual education or skill. It may be a life stage (youth or seniors) or ability (living with chronic health and mental health challenges); disruptive events such as injury, illness, natural disasters or job loss. 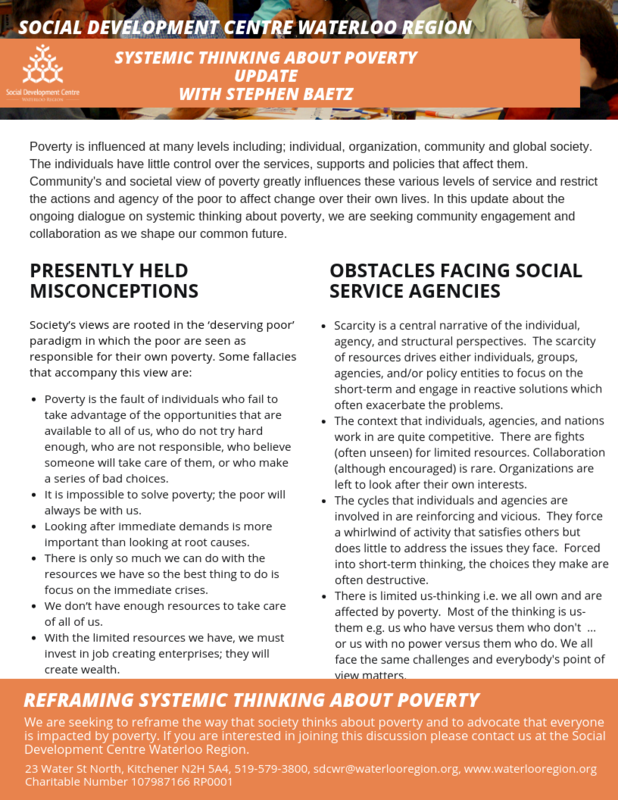 At the end of the day, there are systemic factors (racism, xenophobia, employment standards, global recession, socio-economic and gender inequalities) that contribute to driving people in vulnerable circumstances into poverty and keeping them there. We can reverse those vicious cycles. Find out more and help us leverage the knowledge accumulated over the last 10 years: 519-579-3800 or sdcwr@waterlooregion.org. 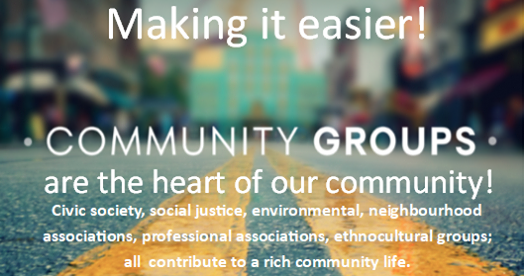 Our community is booming with activities aiming to strengthen inclusion and belonging of citizens of all backgrounds. Still, 59% of newcomers to the region said that they feel isolated in the Immigration Partnership WR survey in 2017. Going beyond the survey response scales, we are bringing the members of ethno-cultural communities together to sit and unpack the meaning of social isolation and social connectedness. Together with the Immigration Partnership and Volunteer Action Centre, we hope to kick start some of the connections among diverse groups and spark action that can rally different voices around common causes. Your Voice & Your Donation Count! Help us reach our core funding goal for a better common future - $20,000. We are fortunate to live in a prosperous region but the benefits of living here are not shared equitably. At this year’s provincial and municipal Meet the Candidates Forums, the residents told us that affordable housing, free transit, opioid crisis, gentrification, environmental justice and meaningful participation in decision-making would be the pressing issues in the coming years. This feedback testifies that some of us are missed, forgotten or left behind, and that we would all benefit from a broader community dialogue. It is time to come together and celebrate! We are expecting you at Kitchener City Hall Rotunda on November 18, 1 to 3 pm. We will share stories and recognize the accomplishments of the neighbours who made their gatherings even more inclusive. Inclusion Challenge Recognitions will be made by the Independent Living Centre Waterloo Region, and we will draw two Neighbourhood Improvement Grants! There is a special announcement regarding the Neighbourhood Connection Award: “Reaching out across the diversity in our neighbourhoods is not easy but is so worth the effort and will enrich the community life in Kitchener -Trudy Beaulne". Wonderful supports received this year to make our celebratory event even more special: Boehmers Hargest Block, Steed and Evans, Victoria Park Neighbourhood Association, Alejandra Ivic Re/Max Twin City Realty Inc., Grand Valley Society of Architects, Strassburger, Mumbly Insurance, Swanson's Home Hardware Building Centre, Freure Homes, Waterloo Regional Police Service, Independent Living Centre of Waterloo Region, ASCEND. This is not a debate! We are hosting our traditional roundtable discussions with the candidates to build common ground for community dialogue that spans between elections. We will have the privilege to welcome into conversations the Regional Chair, Regional Council and Kitchener mayoral candidates. All the candidates that attended signed the Commitments for equitable and resilient Waterloo Region. 54 Benton St, Kitchener, entrance from Church Street. Co-hosted by Trinity United Church. 16 William St W. in Waterloo. Co-hosted by First United Church. You and your neighbours are invited to enjoy a fun afternoon with neighbourly people like you once you have registered a neighbourhood activity with the FoN. Read more in our September E Neighbour about the great Kitchener neighbourhoods and the people behind them! Whether your get-together was simple or elaborate, as long as it was inclusive of all your neighbours and allowed them to interact face to face, it is eligible for prizes and awards. To ensure that your activity qualifies your neighbourhood for the $20,000 capital improvement grant draws just give us a call or email. Register qualifying neighbourhood activities held between October 1, 2017 and September 30, 2018 with the Festival of Neighbourhoods before October 5, 2018. Join us at the Festival Finale at Kitchener City Hall on November 18 from 1:00 to 3:00 pm, when the draws for the $20,000 neighbourhood grants will be held and the winners announced. 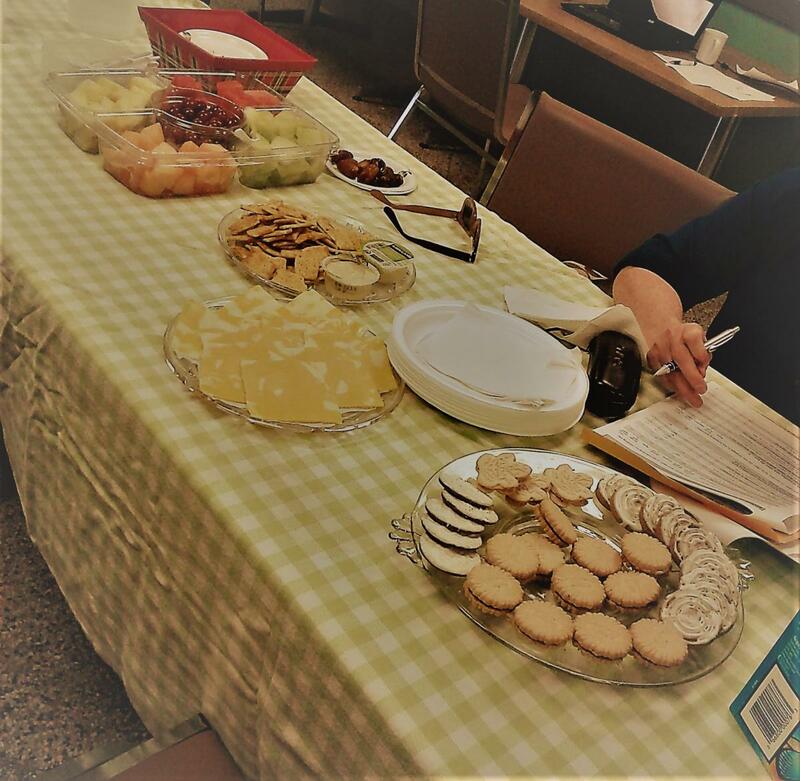 Social Development Centre and the Disabilities and Human Rights Group hosted on July 18 a drop-in session to support low income and persons with disabilities fill in the Waterloo Region Community Wellbeing Survey. Thanks to the help of ‘peer connectors’, we assisted individuals who were not reached yet to fill in this lengthy survey. This way, the participants had a chance to add their voices and potentially influence the planning of municipal and community services in the next four years. The staff, peers, and summer students from the Social Development Centre provided personal support to participants with different needs regarding vision, hand dexterity, literacy, and focus. Filling in a survey could take between 45 to 70 minutes. We helped 25 participants in one afternoon. This is a quote from 2015 when many of our collaborators were sending in testimonies to support our funding requests. It sounds true today more than ever. After the First Small Groups Networking forum, we are exploring the universe of the local social innovation spaces to decide how to move forward with a unique idea of bringing small nonprofits together under a shared platform. The space in itself is not the highest priority. The 30 groups that came together in November told us that they seek cross promotion and recruitment from a co-working space. If you are struggling to reach out and connect to the community, consider this short survey and do come and meet with us on the 26th of July at pm at the Social Development Centre. Residents of Traynor-Vanier neighbourhood are finally succeeding in bringing togther strong voices in support of the pedestrian crossing over the ION tracks. Their uphill struggle started back in 2014 with the creation of KW Tenant Group. 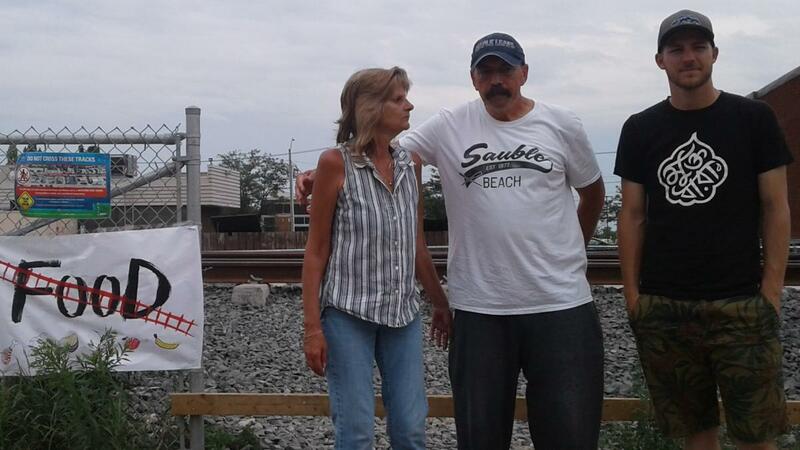 On July 14th 2018, they come together, organized a rally and invited Region of Waterloo and City of Kitchener councillors to tell them how it feels walking through or around the fence to reach the stores, transit connections and workplaces on the other side of the Fairway Road. The informal routes were so important and engrained, that families high up from Courtland Avenue still find it safer to cut across the fence. The whole neighbourhood has a potential of being reivigorated if we connect the dots: Traynor Park, the community trail, the pedestrian crossing and importance of citizen led solutions. We will keep an eye on the big picture.